How time flies! It seems as though it was just the other day when the German football team wowed us with their blitzkrieg football, running riot and steamrolling all their opponents to clinch the World Cup. And now, we are into another season of the World Cup and the air is thick with all things football: publications, kits, chants, superstars, wildcards, glory, tears, disappointment, hope… you name it. No doubt, the World Cup ranks among the greatest sporting events in the globe. And as the various nations converge to showcase their best talent, the world stands still. From the qualifiers, the friendlies, the build-up, all the 64 games culminating into the final, all is glitz and glamour. That said, the World Cup provides an opportunity to bond, to learn and to care for the environment. How so? Football, like food, is much more palatable when consumed in the company of others. As such, the World Cup provides an opportune moment for families and friends to bond. Moreover, football is an easy sport to learn and understand, hence there is no excuse for anyone in the family to be left behind. And you don’t have to be a die-hard fanatic, religiously following everything football, to enjoy the World Cup. Just being amenable and letting the fanatics have their space to enjoy the event is enough. And as for the fans and fanatics, you don’t have to hog the TV remote for the whole season that is the World Cup; there are those ‘small games’ that you can sacrifice and let those who are not into football enjoy various other TV programmes. And for the life of me, should you task me as to what these ‘small games’ are, you would be putting me in a corner. In my defence, though, the World Cup happens every four years. So, why not let me hog the TV remote? Please, a-beg-o. How did football start? The World Cup? Who was Jules Rimet? How many nations have won the World Cup? How about grabbing a book on these or going online to learn the same? And considering that the nations recruit their members from football clubs from around the world, how about chomping through a biography or autobiography from a renowned manager such as Arsène Wenger, Pep Guardiola or Alex Ferguson to learn the different philosophies behind the football game? And wisdom gleaned from these, and from the game itself, can be applied at the individual level or leadership level in organisations to move to the next level. Such lessons include the principles of fair play, sportsmanship, tolerance and embracing diversity among others. 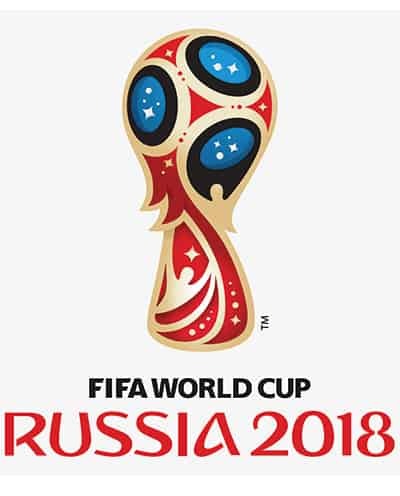 When all is said and done, the World Cup is one big, month-long festival irrespective of wherever you are in the world. Which means that people travel all over to watch the games whether live or on TV. As such, why not include little goals to help conserve the environment during this season? Say, carpooling when travelling, inviting friends and their families to watch the game in you homes – translating into saving power at their homes, planting a tree every time your team or favourite player scores, and the like. Just think of the net effect to the environment were these to be replicated a billion times around the world. Lastly, as you continue to enjoy the games, just remember that it is never that serious. And while at it, as an organisation, why not share your World Cup little goals with your stakeholders by publishing them on your website, blog and various social media sites?